Thoughts and discussion about Trek-related news. 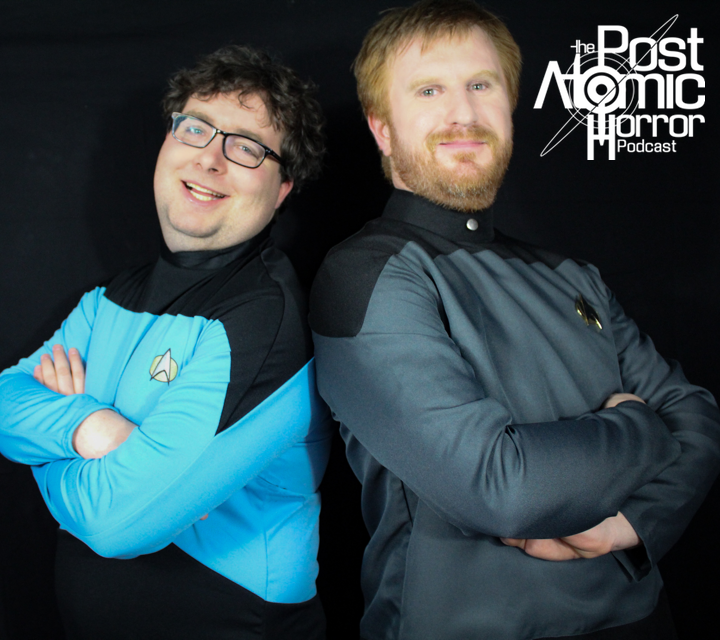 Our next live recording of the Post Atomic Horror podcast will be FRIDAY, APRIL 8 at 5:30pm at the Pocket Theater in Seattle. 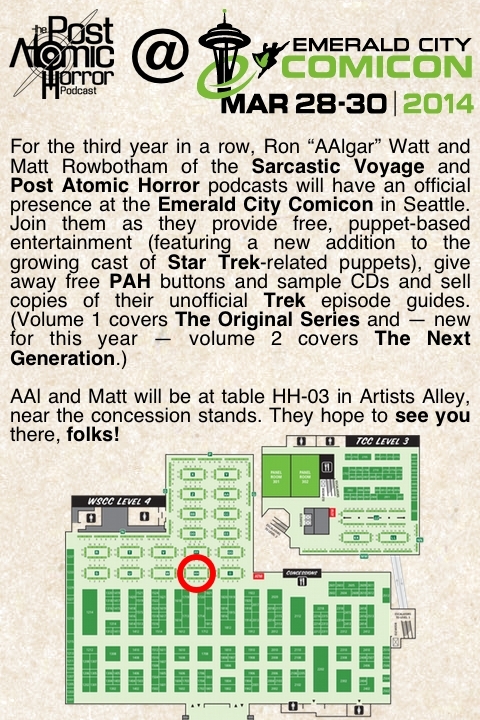 This is the weekend of the Emerald City Comicon, so if you’re in town, come check us out! If you enjoy this show or any of the other shows we produce, please consider donating to our annual fundraiser. Write to us! Get free stickers! Episode Guide volume 2 now available! 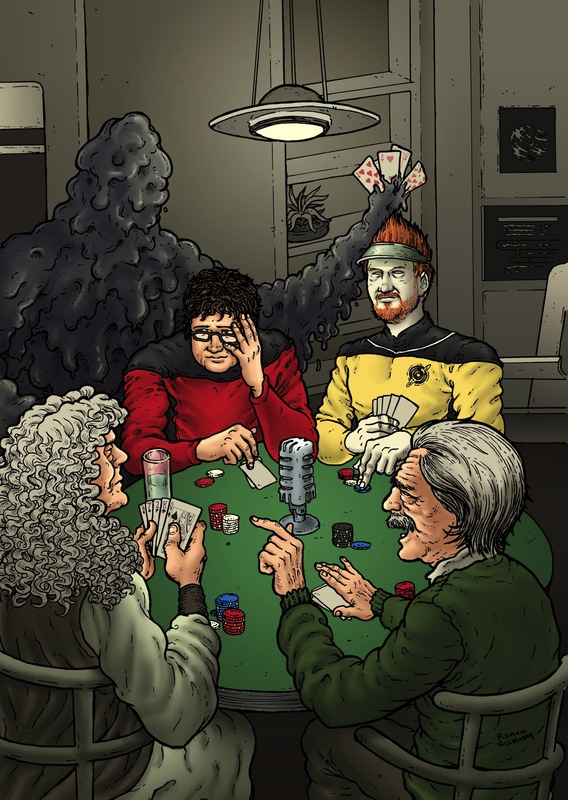 Volume 2 of the Post Atomic Horror episode guide (covering all of Star Trek: The Next Generation) is available now, in both print and ebook formats! This is a comprehensive, comedic guide to the series and the movies. 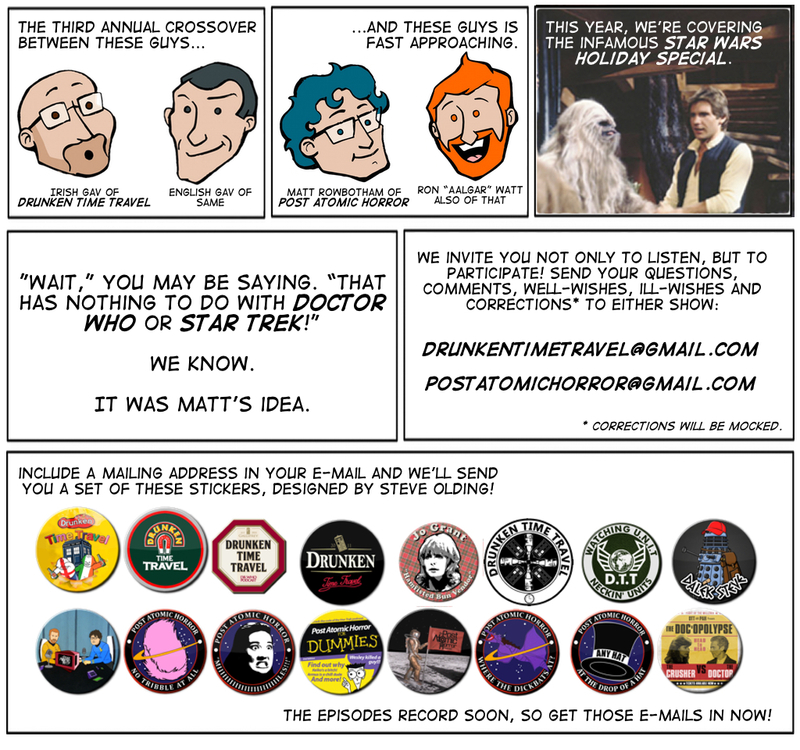 It features all-new material, not the same jokes you’ve heard on the Post Atomic Horror podcast. Buy it in our store. Cover art by Ramon Villalobos.